Welcome to Koi Fish Information. My name is Adam Boyle and I’ve been an enthusiastic fish lover for as long as I can remember. 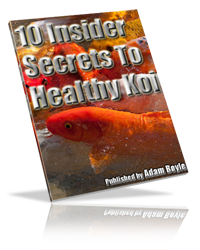 I started Koi Fish Information as a free resource for others who wish to learn more about owning and caring for these beautiful fishes. Here on my website you’ll find a number of resources to help you learn more about the Koi fish itself, how to identify healthy Koi to adopt, how to care for their health, what the most common health problems are, color variations, and much more. I’ve put together a free step-by-step mini-course to help you get started quickly with raising healthy Koi fishes. 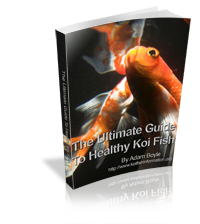 It’s designed to quickly let you get a grasp of the tremendous variety of Koi fish, where to purchase Koi fish, how to determine if your Koi fish is healthy and socially adjusted, why quarantining is such a crucial thing for the survival of your Koi fishes, common quarantining mistakes, Koi nutrition and feeding tips, environmental needs, and much more.